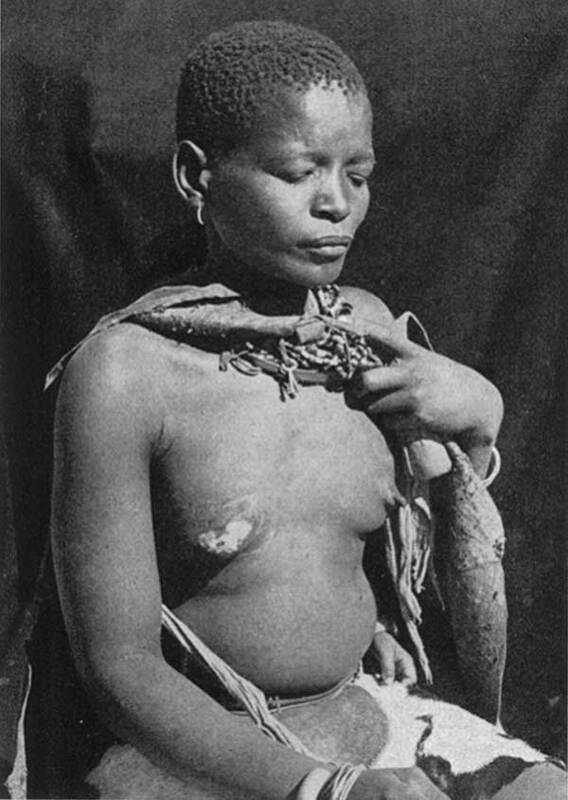 Home > Exhibitions > Syphilis - Isifo sedolobha > Endemic non-venereal syphilis in Southern Africa? Only by the 1930's was venereal syphilis prevalent in rural areas of South Africa, attributable to the effects of migrant labour. But there is evidence that an endemic non-venereal syphilis, similar to yaws, was already present in parts of South Africa before venereal syphilis took hold. Endemic syphilis occurs in warm arid areas and in Southern Africa it appears to have been prevalent in Southern Zimbabwe, South-Eastern Botswana, Northern and Western Transvaal, extending into the Karoo and Northern Cape. Both the inhabitants of these regions and some doctors of the 1880's to early 1900's clearly distinguished between endemic syphilis ("ukwekwe") and venereal syphilis. Endemic syphilis is primarily spread via saliva, especially by contaminated drinking/eating utensils. Direct lesion to skin contact is also important. Overcrowding and poor community hygiene likely play a role. A primary chancre is seldom observed, but typical "mucous patches" in the mouth and throat, condylomata and skin lesions similar to those of venereal syphilis occur. Late manifestations of endemic syphilis are destructive but non-lethal gummata and ulcers of the nasopharynx, skin and bone. Osteitis and periostiits is the cause of nocturnal bone pain The cardiovascular and neurologic complications of tertiary venereal syphilis are rarely seen. The reservoir of endemic syphilis is in children between 2 and 15 years old. It often occurs in family groups, spreading from children to susceptible adults. On the other hand, congenital infection is very rare. Childhood endemic syphilis provides immunity to venereal syphilis in adulthood. However, endemic and venereal syphilis can occur in the same population, (causing confusion) and the Wasserman reaction is positive in both. Endemic syphilis responds very well to the same treatment as venereal syphilis (salvarsan, mercurials, penicillin). It seems probable that endemic syphilis co-existed with venereal syphilis in the early decades of the 20th century but was rapidly displaced by the venereal form. Today it is known that the causal agent of venereal syphilis is Treponema pallidum subsp. pallidum and that of endemic syphilis is Treponema pallidum subsp. endemicum. Genetic differences between the organisms are very slight and the biological basis for the different patterns of disease are still not known. A boy of 8 months with generalised condylomata, a papular rash on trunk and face, mucous patches of mouth and lips. Image credit: J. F. Murray JF, Merriweather AM, Freedman ML. 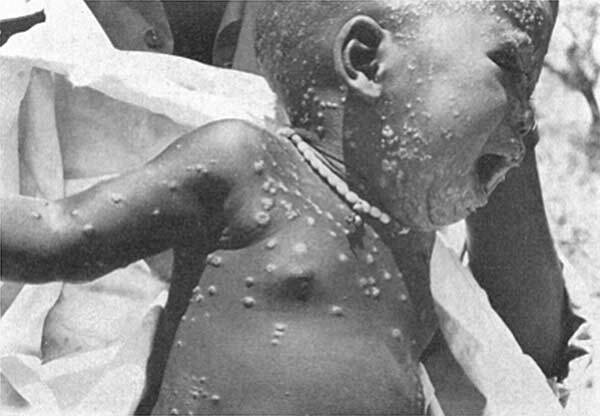 Endemic syphilis in the Bakwena Reserve of the Bechuanaland Protectorate. Bull World Health Organ. 1956; 15(6): 975–1039. This woman was suckling a child with buccal mucous patches.